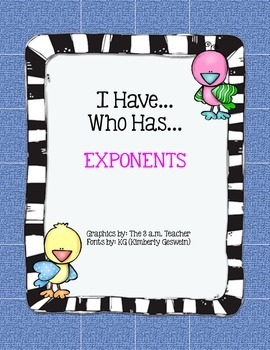 Kids love to play "I Have...Who Has..." This version uses exponents. 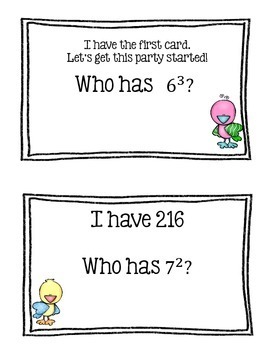 There are 28 cards in all. I recommend printing the cards twice. 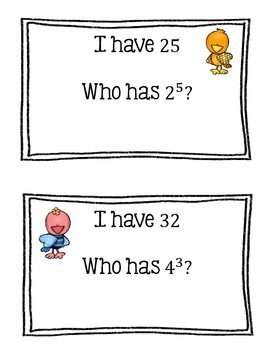 The first set can be used as an answer key since the cards are in order. 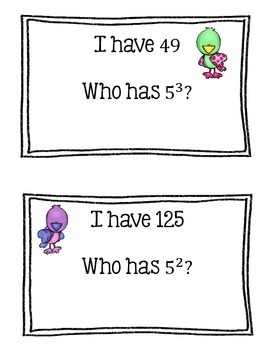 The second set can be laminated if you prefer.